Required reading in universities and colleges worldwide, The Carta Jerusalem Atlas remains the premier Atlas for the study of history, geography and archaeology of the Holy City. The Carta Jerusalem Atlas has been enlarged for easier reading, thoroughly revised and updated to record the latest findings, and expanded to provide the best possibleoverview of one of the most fascinating and contested cities in the history of mankind. Includes 20 full-page maps, c. 250 plans, reconstructions, drawings, and photographs, and a detailed map of the Old City of Jerusalem today. Carta's New Century Handbook and Atlas of the Bible presents the reader with a review of the ancient world, from the Fourth Millennium BCE up through the Bar Kochba Revolt of 132-135 CE. This Bible atlas is a detailed backdrop to the Holy Scriptures and reviews all the major Empires and salient events which bear so heavily upon an understanding of the Biblical world. A masterpiece of scholarship, Carta's New Century Handbook and Atlas of the Bible is a concise version of Carta s more extensive The Sacred Bridge." So you're going to Israel? Don't go without this guide. A trip to the Holy Land is, for most, a once-in-a-lifetime opportunity. In this one-stop guide, two professionals--Charles Dyer, a Bible scholar and veteran Holy Land tour guide, and Greg Hatteberg, graduate of the Institute of Holy Land Studies in Jerusalem--help you make the most of your trip. With detailed maps and a full-color 16-page photo insert, this book walks you through five key biblical regions: Israel, Egypt, Greece, Jordan, and Turkey, giving you a preview of what's to come and helping you make the most of every moment along the way. Packing lists, jet lag tips, passport requirements, and a wealth of other practical information will assure you that have everything you need, while a four-week prayer guide and Bible study prepare you for the spiritual journey you are about to take. The Christian Traveler's Guide to the Holy Land traces the biblical events of over ninety of the most visited sites and will ensure that your trip is an exciting, spiritually satisfying, and unforgettable experience. This revised edition features newly excavated sites, up-to-date photos and maps, and relevant advice for preparing for and preserving your trip. You'll never fall into the tourist traps when you travel with Frommer's. It's like having a friend show you around, taking you to the places locals like best. Our expert author has done the legwork for you, and is not afraid to tell it like it is, saving you time and money. 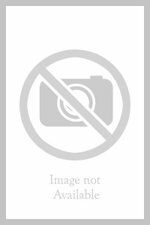 No other series offers candid reviews of so many hotels and restaurants in all price ranges. Every Frommer's Travel Guide is up-to-date, with exact prices for everything, dozens of color maps, and exciting coverage of sports, shopping, and nightlife. You'd be lost without us! Israel is an endlessly fascinating destination, a crossroads for different cultures and religions, and Frommer's Israel is an invaluable guide to this intriguing and complex land. It's written by an expert author, who provides you with sensitive and authoritative coverage of the region's historic and religious sites, and offers valuable insights into its culture. With Frommer's in hand, you'll explore the ancient and holy sites of Jerusalem, the silent majesty of the desert, the beach resorts of Tel-Aviv, and much more. We'll also show you how to have a world-class adventure, from diving in the Red Sea to exploring the stunning caves at Petra, in nearby Jordan. With detailed practical tips on dining, etiquette, bargaining, communicating, and getting around, Frommer's Israel is the only guide you'll need to explore this amazing land. 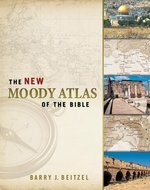 The New Moody Atlas of the Bible integrates the geography of Bible lands with the teachings of the Bible. Dr. Beitzel has blended the topographical and historical in 118 full color, detailed, and digitized maps of places like Palestine, the Mediterranean, the Near East, the Sinai, and Turkey. Learn of God's protection and guidance by following Israel's forty-year sojourn in the wilderness, and appreciate the results of the Great Commission to 'teach all nations' by seeing the scope of Paul's three missionary journeys. All of the graphics are brand new, and every page was substantially rewritten, updated, and expanded to bring you more than one hundred thousand words that provide useful commentary throughout. Superior photography, comprehensive geographic detail, award-winning maps, distinctive theological discussion of geographical matters, and thorough documentation in the form of new indexes and 800+ endnotes set this atlas apart. The New Moody Atlas of Bible Lands is an invaluable asset to Sunday school and home school teachers, as well as seminary and Bible college students. 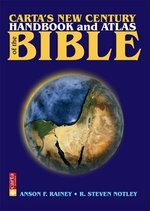 It's time to discover why Then and Now Bible Maps book was the #1 Bible Atlas in 2007. This amazing resource allows pastors, teachers and those who enjoy studying the Bible to compare Bible-times with modern-day countries and cities at a single glance with the clear plastic overlays. Contains 20 pages of full-color Bible maps and time lines comparing Bible and world history. Hardcover book measures 8.5 x 11. Spiral binding makes it easy to use; opens flat for ease of use. Make your Bible studies and teachings more relevant with Then and Now Bible Maps. This amazing resource contains: Maps of Bible-time regions with clear plastic overlays of modern cities and countries outlined in red Fascinating facts revealing today's geography for Bible-time places 92 places Jesus walked Paul's journeys The last days of Jesus in Jerusalem Old Testament time-line, The Beginning--1 BC New Testament time-line, 10 BC--AD 100 A thorough index The maps and modern overlays include: Middle East--Old Testament Assyrian Empire, Babylonian Kingdoms and Persian Empire Holy Land--Old Testament (United Kingdom, Divided Kingdom) Holy Land--New Testament (inset of Jerusalem at the time of Jesus) Paul's Journeys There's really no easier way to compare the geography of Bible times with modern day times than by using Then and Now Bible Maps atlas. Now you can show your students as well as tell them about historical geographic changes in the Middle East and Holy Land regions. Those you teach will be astounded to learn that: The ruins of Nineveh are in Northern Iraq near Mosul Noah's Ark probably landed in Turkey (Mt. Ararat is in northeastern Turkey) Paul was brought up in what would be Turkey today(Tarsus). He preached in Syria, Turkey, Greece and Italy The wise men were probably from Iran or Saudi Arabia. Then and Now Bible Maps includes: The Middle East during Old Testament Times Overlay of modern-day Middle East The Assyrian Empire, Babylonian Kingdoms and Persian Empire Overlay of modern-day countries The Holy Land during the time of the Old Testament Overlays of United Kingdom, Divided Kingdom, modern-day Israel and surrounding countries The Holy Land during the time of Jesus Overlay of modern-day Holy Land with an inset of Jerusalem at the time of Jesus Modern Israel Paul's Journeys (Roman Empire at AD 60) Overlay of modern-day Mediterranean area The Old Testament Timeline compares Bible history and world history at a single glance: The century Book of the Old Testament Bible history World history An inset of the kings of the Old Testament The New Testament Timeline that allows people to compare Bible and world history at a single glance: The century Book of the New Testament Bible history World history An inset of the life of Jesus, AD 26-30 Life of Jesus facts cover the following eras of his life: Jesus' birth and youth Jesus' baptism and early ministry Ministry in Galilee Withdrawal fro Galilee Ministry in Judea Ministry in Perea Final week in Jerusalem Resurrection and ascension Then and Now Bible Map Book uses larger, easier-to-read type than most Bible atlases. Pastors will want a copy of this resource for themselves and to have several throughout the church as a ministry resource. An alphabetical index makes research easy. Rose Bible Map Insert--An ultra-thin Bible atlas that fits in the back of your Bible. This incredible full color 44-page Bible atlas has clear plastic overlays of modern-day cities and countries. 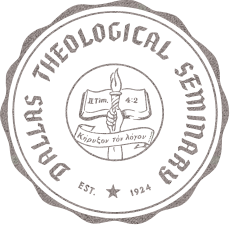 Now you can have Then and Now Bible maps inside your Bible. Includes 44 pages; 8 plastic overlays; all maps in full color; larger print than other Bible map inserts; every major city in the Bible; a Bible time line; index; separate maps for each of Paul's Journeys. 5.5 x 8.5 inches. Compare for yourself. This has double the maps and more color than any other Bible map insert on the market. TRAVEL THROUGH ISRAEL LAND OF PROMISE OP! A color illustrated guide, suitable for people either to use in Israel, or to enjoy from their armchairs! Tubinger Bibelatlas is the fundamental cartography for biblical scholars. The atlas is bilingual throughout (German and English).Based on the Tubinger Atlas of the Near and Middle East, the maps collected in this atlas were previously only available as single sheets. Here, they appear for the first time in a bound atlas, making this valuable study material readily available.On a total of 29 large format map sheets (each approximatley 28.25 x 19.5 inches when unfolded) the historical geography of the biblical countries is documented with unique precision and extensive detail. Particular maps have been revised and supplemented for the Bible atlas. A map for the archaeology and history of Sinai has been newly created and is published here for the first time. In addition, an index has been specially compiled; it is separately bound and can be removed from the atlas so that it can conveniently be used together with the maps. Made for non-experts, Carta s Understanding Biblical Archaeology is an introductory atlas to the subject that can provide greater insight into the lives and customs of the ancient peoples who inhabited the setting of the Bible: biblical archeology. This atlas provides an introduction to biblical archeology as well as an overview of some of the most important sites discovered in the Holy Land, like Jerusalem, Tiberias, Bethlehem, and Jericho. Understanding Biblical Archeology also includes maps and photos of excavations and artifacts throughout." Understanding Great People of the Bible: An Introductory Atlas to Biblical Biography provides a summary of biblical data centered on the lives of some of the greatest characters who walked across the pages of Scripture. More importantly, this retelling of various biblical stories incorporates a measure of the concrete reality of the ancient Near Eastern world that sheds light on the biblical text. In doing so, this atlas of the Bible attempts to suggest reasons and consequences for human actions within the storyline, thereby making sense of what might otherwise appear to be a an opaque or all-too-brief narrative. Suitable for the classroom, libraries, or group study.